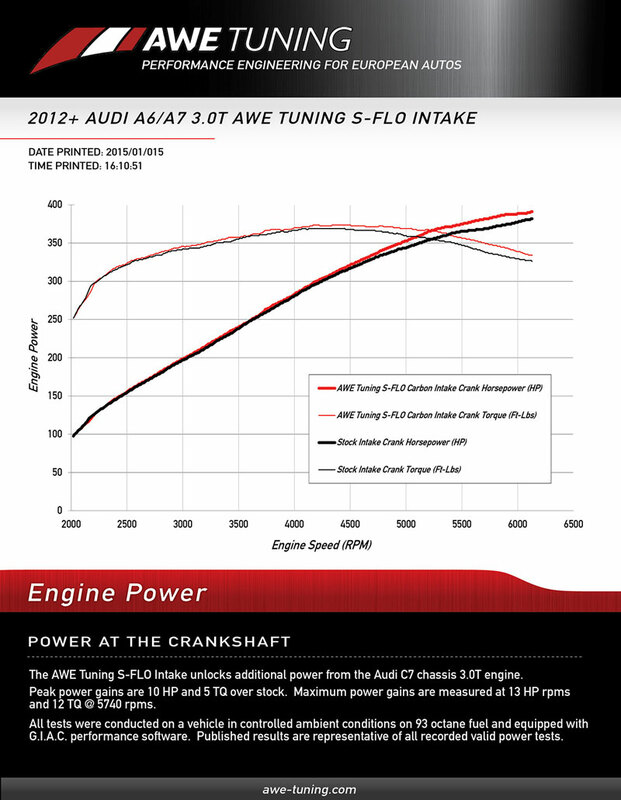 Unleash all your power in your Audi A6 or A7 with this AWE Tuning Turbo Carbon Fiber S-Flo Intake! 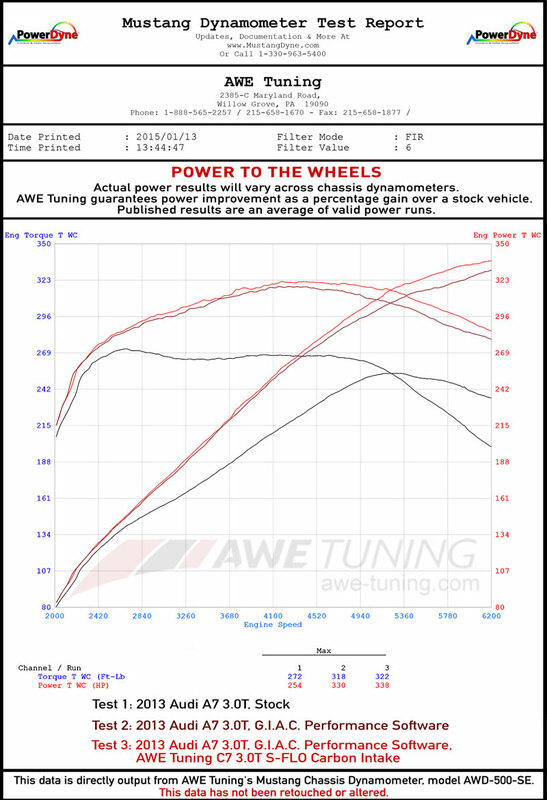 The AWE Tuning S-FLO Carbon Intake is the complete suite, containing the the AWE Tuning S-FLO Carbon Airbox, the AWE Tuning S-FLO Filter, our engineered Nomex® reinforced silicone hose, and all necessary brackets and mounting hardware. The AWE Tuning S-FLO Carbon Intake employs the proprietary AWE Tuning S-FLO Filter, which is also available separately. The AWE Tuning S-FLO Filter is the largest that can fit within the air box, and is a washable, oiled, large cylindrical filter.